The Victorian state government has recently defined affordable housing incomes and price points for both Greater Melbourne and regional Victoria for households on very low (0-50 percent of median income), low (50-80 percent) and moderate (80-120 percent) incomes. It has enshrined “affordable housing” as an explicit aim in the Planning and Environment Act. Better protection for renters has also been developed. The Australian government estimated that 142,685 lower-income renter households in Victoria were in housing stress in 2015-16. Over 30 percent and in many cases over 50% of their income was going to rent or mortgage payments. Our research team at Transforming Housing has more recently calculated a deficit of 164,000 affordable housing dwellings. Over 90 percent of the deficit is in Greater Melbourne. Affordable home ownership bears no resemblance to the current market in which the median unit price is well over $700,000. Median rents are affordable to many moderate-income households, at about $420 a week. Whether such housing is available, with a vacancy rate of less than 1 percent, is another issue, particularly for very low-income households. The problem is that the price points of these dwellings are beyond the means of 64 percent of households – 456,295 would need to be affordable, appropriately sized and located to meet most people’s needs. All too many will be bought as investments and remain vacant. An inclusionary zoning pilot on government-owned land might yield “as many as” 100 social housing units in five years. Public housing renewal on nine sites is expected to yield at least a 10 percent uplift, or 110 extra social housing units, in return for sale of government land to private developers. This is certainly not maximizing social benefit. Identify available sites. We have mapped over 250 government-owned sites, not including public housing estates, that could accommodate well over 30,000 well-located affordable homes, with a goal of at least 40 percent available to very low-income households. Aside from leasing government land for a peppercorn rent, which could cut construction costs by up to 30 percent, a number of other mechanisms could quickly release affordable housing. Launch Housing, the state government and Maribyrnong council recently developed 57 units of modular housing on vacant government land, linked to services for homeless people. 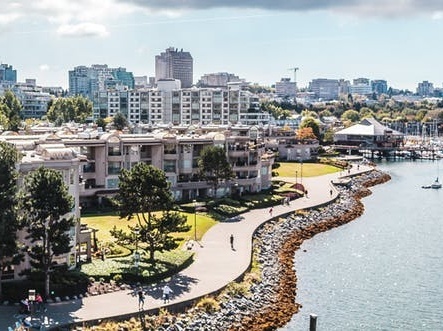 The City of Vancouver and the British Columbia provincial government recently scaled up a similar pilot project to 600 dwellings built over six months. Mandate inclusionary zoning. This approach, presently being piloted, could be scaled up to cover all well-located new developments. Portland recently introduced mandatory provision of 20 percent of new housing developments affordable to low-income households or 10 percent to very low-income households. If applied in Melbourne, this measure alone could meet the 30,000 target (but not the current 164,000 deficit or 456,295 projected need).